Tags: All-inclusive, beach, family friendly, secluded. 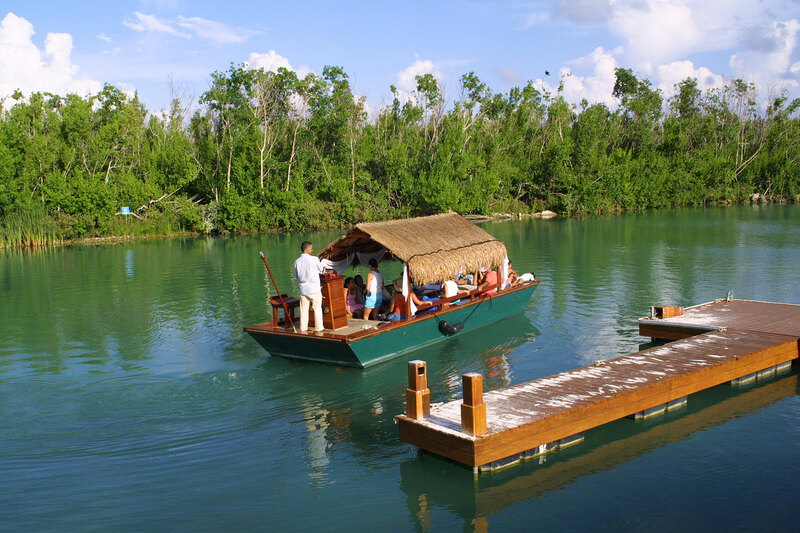 Boutique all-inclusive property with special features for families and young children. Family rooms can sleep up to 5, Fisher Price themed rooms are available, swim-up suites are ideal for older kids. 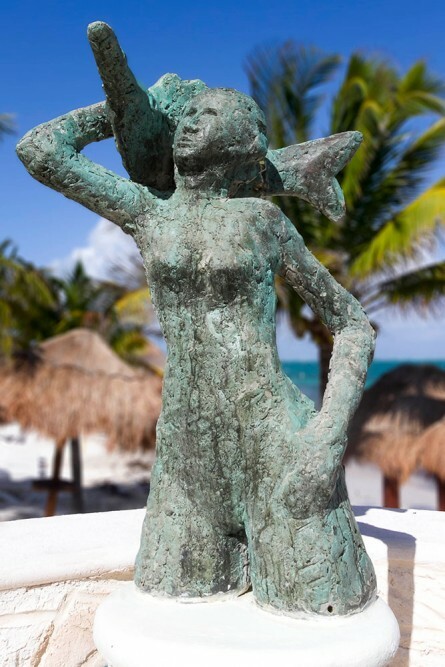 Azul Beach Hotel has an idyllic secluded setting and yet is within easy reach of both cosmopolitan Cancun and the quieter and more traditional fishing town of Puerto Morelos. 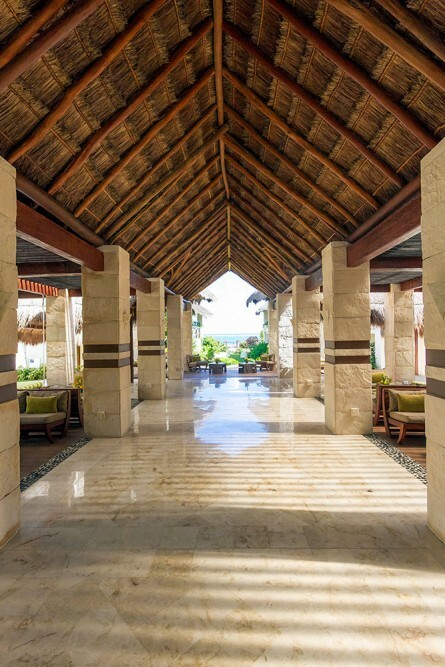 It is one of the few small luxury all-inclusive resorts to welcome children of all ages and has some of the best facilities for families that we’ve found in a small hotel, including rooms that can sleep parents and three young children, plus equipment such as strollers, cribs, high chairs and more. Thanks to the property’s relationship with Fisher Price, there is even a toy library. The hotel will not only appeal to families but can also be a good destination for couples looking for a romantic getaway (although there are likely to be many small children at the hotel). We like the intimate feel of the property which is created through an imaginative layout of the rooms and facilities. 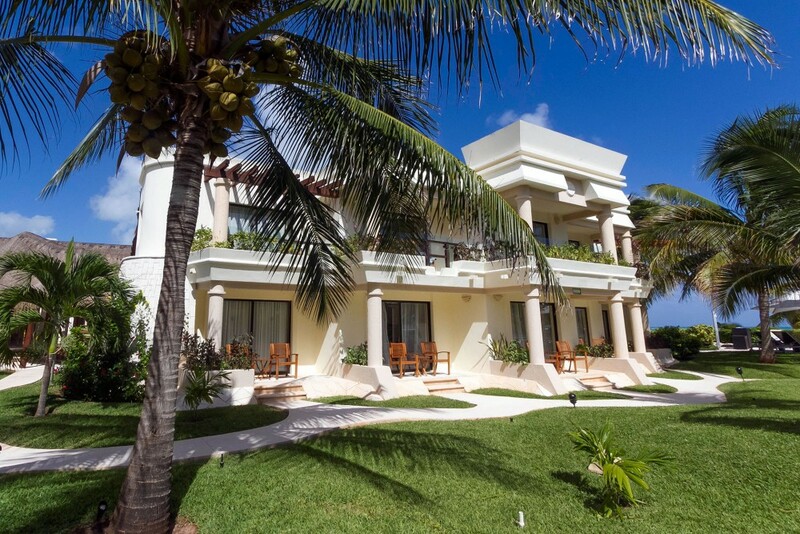 The rooms are arranged in low-rise buildings which face the ocean or have terraces looking out over lush green lawns and tropical shrubbery. 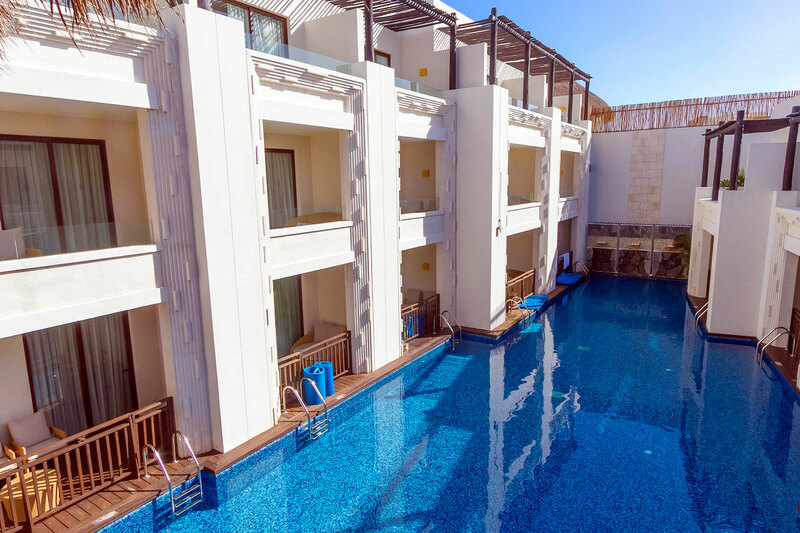 After a recent renovation, there are a range of “swim up” suites that have access to swimming pools from their balconies, as well as spacious family suites. Meals are all served a la carte at one of the hotel’s three excellent restaurants. 24-hour room service is also available. There is a fantastic range of dining options from sophisticated International to exotic local dishes. 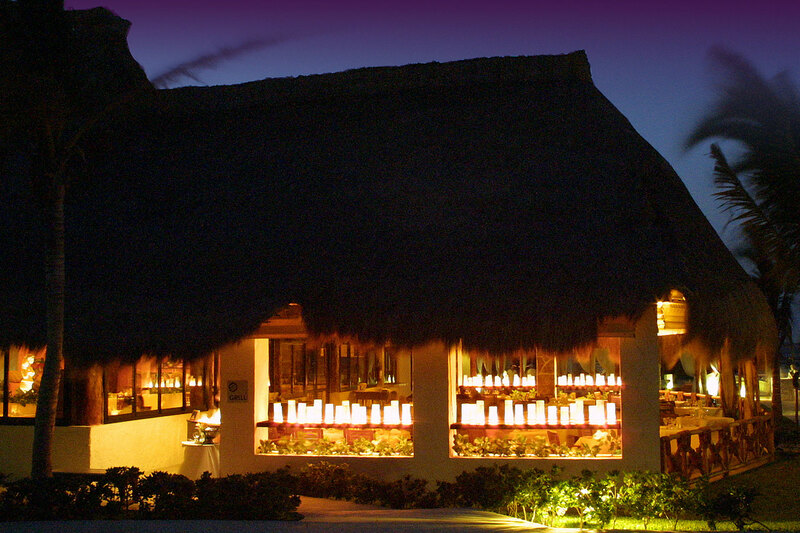 You will find it hard to believe that this is all-inclusive, such is the quality of the food and service. Rates include all meals, snacks and domestic and premium brand drinks. There is a kids club for children aged 4 to 12 years and special kids’ menus are available. 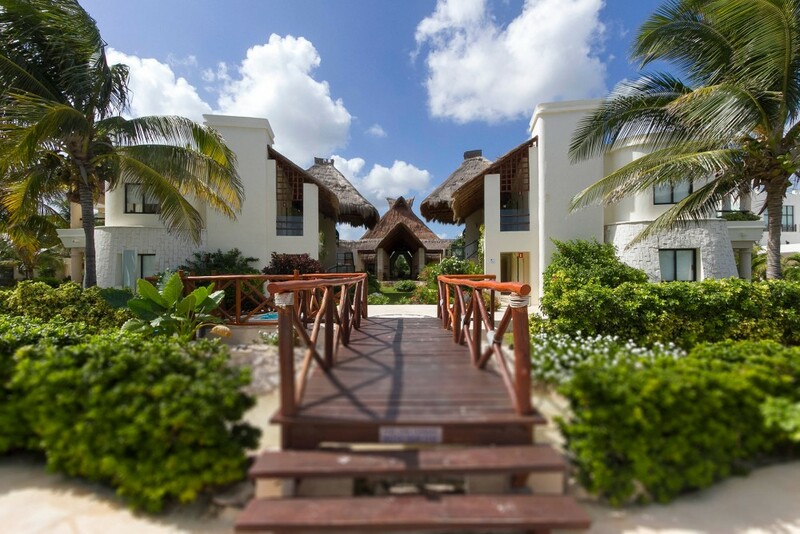 Azul Beach Hotel is located on a long stretch of white sand. The water here is generally calm; perfect for swimming and water activities which makes it ideal for a beach vacation. The resort also has three swimming pools, romantic beachfront cabanas, a wide range of water activities and a fitness room. The resort has just 148 rooms and suites that have views over lush green lawns, the swimming pools or the ocean. Following a recent renovation, the original superior rooms have been replaced by a new section of larger suites that include ground floor “swim up” suites having direct access to a swimming pool from their terrace. 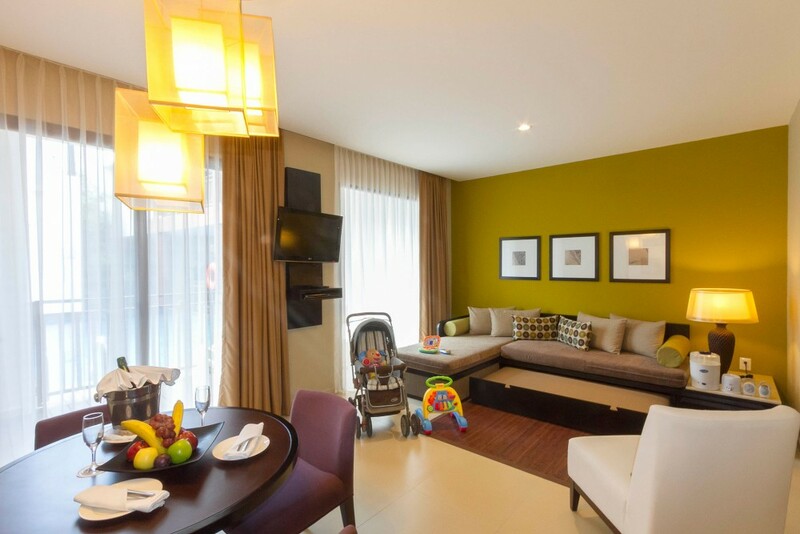 There are also larger Family Suites specially designed for families with up to three small children. The original Deluxe rooms are still housed in pretty low rise villas surrounded by gardens. 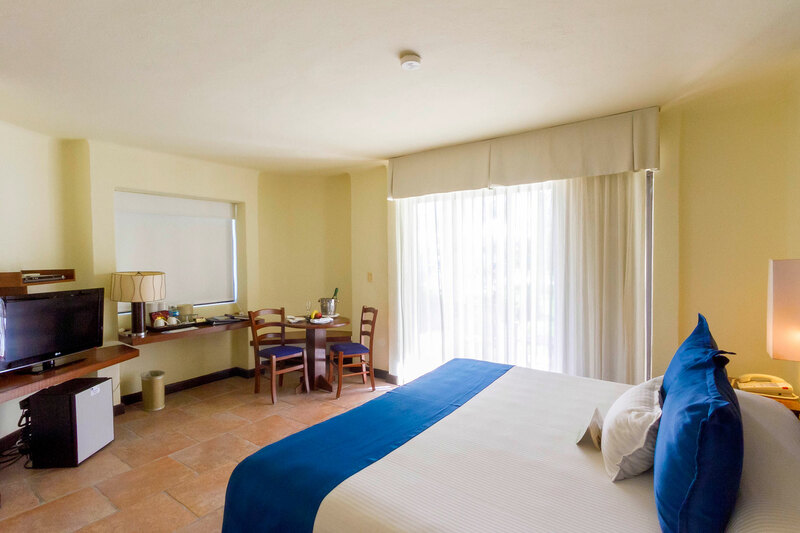 They are smaller than the new rooms but have an attractive setting and easy access to the beach and pools. 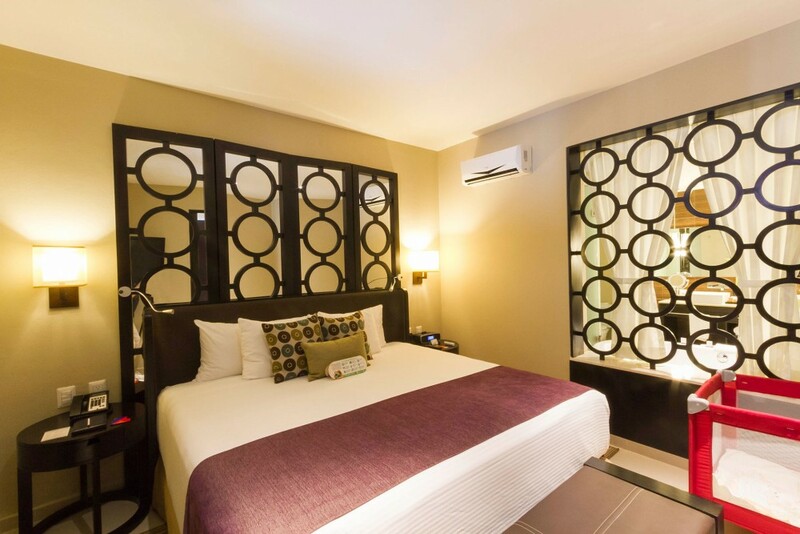 Air-conditioning, hairdryer, room safe, daily restocked minibar, coffee maker, iPod docking station TV and DVD player, wireless internet access, iron and board, balcony or terrace. One king or two double beds, 29 sqmt/312 sqft, connecting rooms possible. Maximum occupancy 3 adults or 2 adults and 2 children. Two queen beds, 45.3 sqmt/487 sqft, newly refurbished. Maximum occupancy 3 adults or 2 adults and 2 children. Oversized (66 sqmt + terrace) suites specially designed for families, with a private king size bed area and separate living area and sofa bed to sleep 3 children. Maximum occupancy 2 adults and 3 children. One king bed, separate living area and sofa bed. Maximum occupancy 2 adults. Designed for brides, with private vanity area and make up station, lounge chair and sitting area, in-suite Jacuzzi and a mannequin for bridal gown. Maximum occupancy 2 adults. 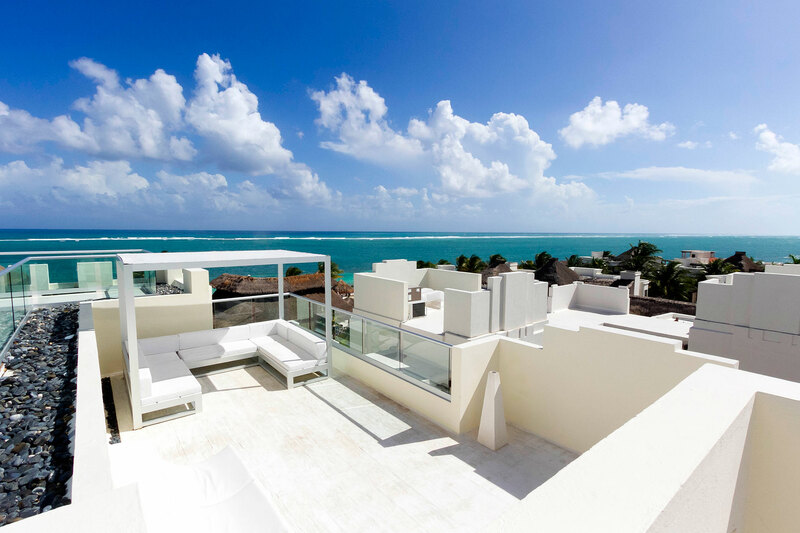 Oversized suite with canopy bed, in-suite Jacuzzi, spacious lounge bed, sitting area and terrace. Maximum occupancy 2 adults. 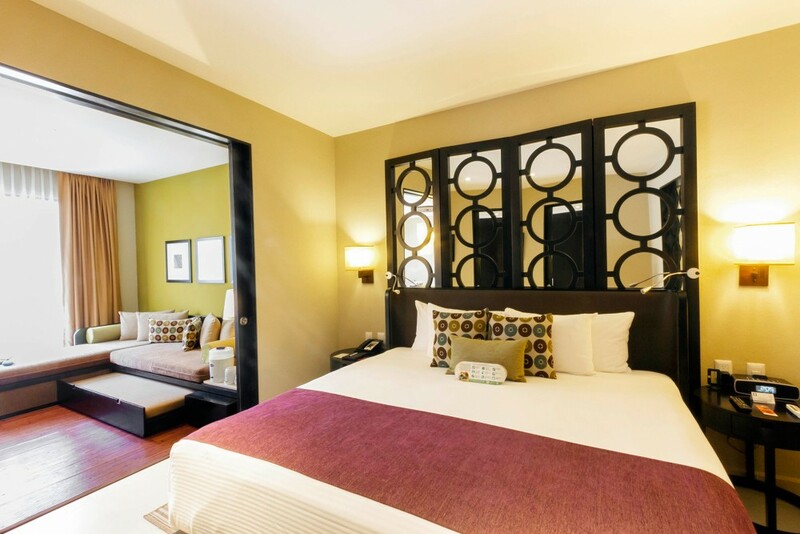 Large suite with king bed and separate living room. Maximum occupancy 2 adults and 2 children. The Deluxe Rooms have either one king or two double beds. The decor is predominantly white and blue which helps create a cool feel. 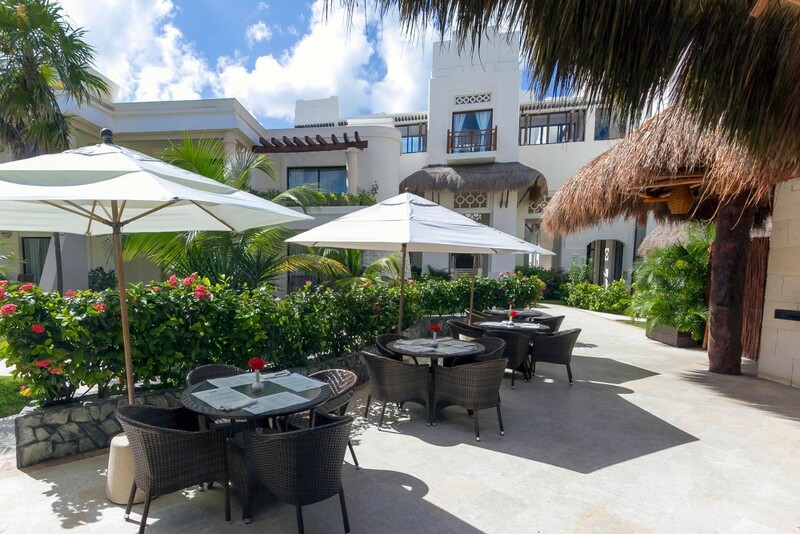 These accommodations have either a furnished terrace or balcony with views over the gardens. 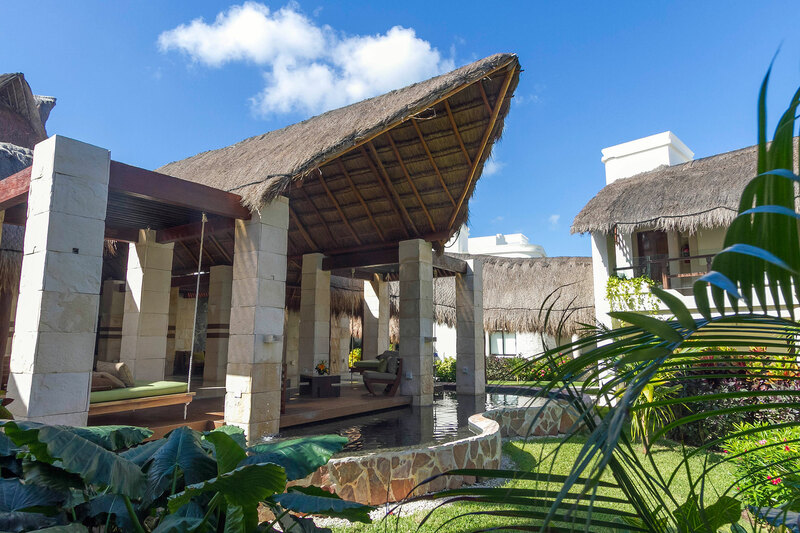 These are nice rooms and offer all the gourmet inclusive amenities and the same excellent service, but for families with children or honeymooners, we recommend the much bigger Junior and Family suites. Bathrooms continue in the same stylish tone. 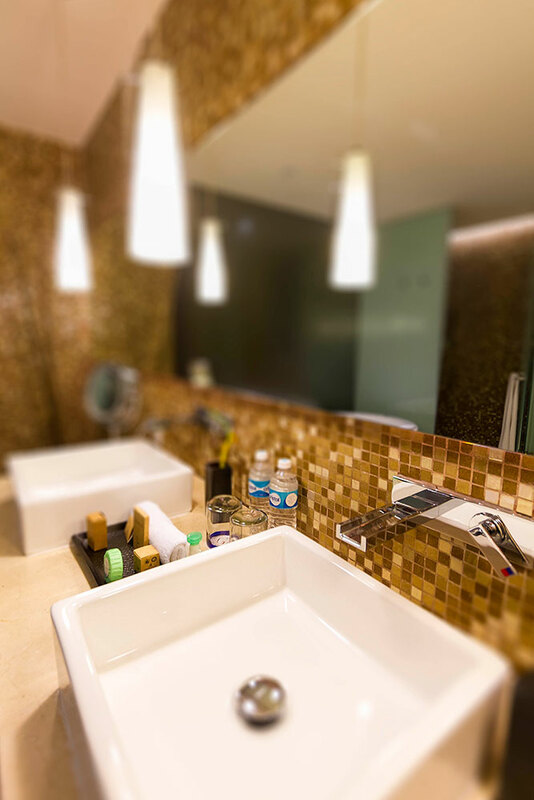 A separate vanity area is located just outside the bathroom with a large mirror, hairdryer and a good range of toiletries. These bathrooms have a walk-in shower. 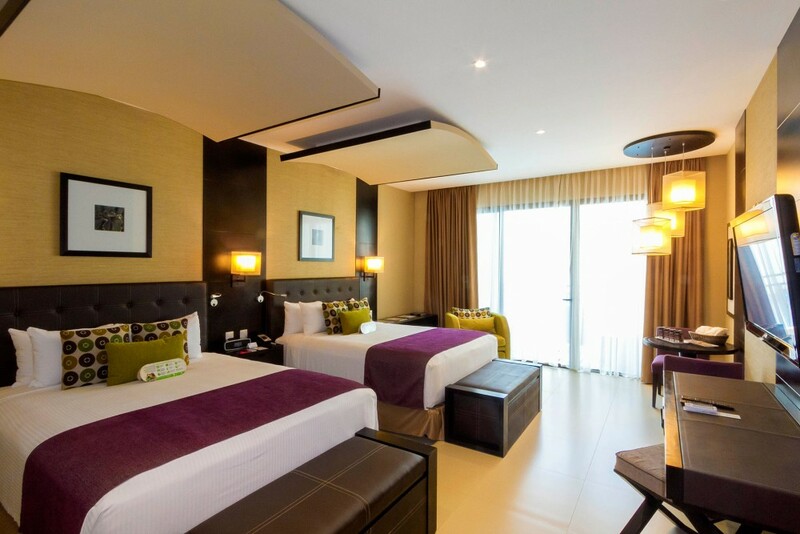 The Junior Suites are very spacious and have an attractive, contemporary style. All these suites have two queen beds and a balcony or terrace. 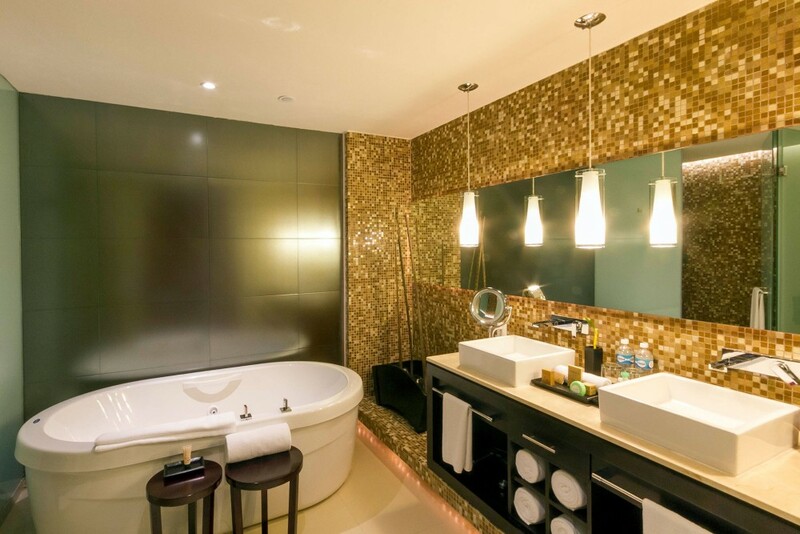 Each Junior Suite has a glamorous bathroom with a deep soaking tub and double vanity. Choose a Jacuzzi Junior Suite if you prefer the bathtub to have hydrotherapy jets, then you can enjoy a spa experience in your own suite. 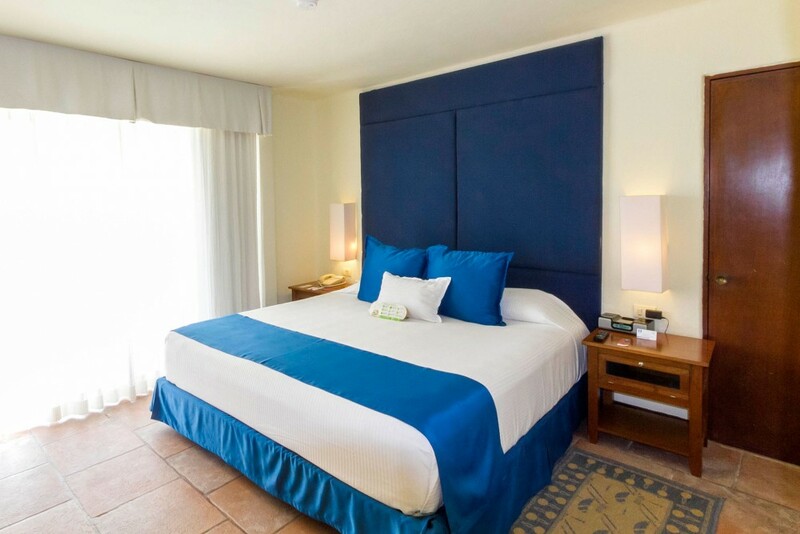 The Ocean Front Junior Suites have the best positions just a few paces from the beach, and the rooms further back have pleasant views of the swimming pools and gardens. Some ground floor suites are “Swim up” suites – just open the gate on the terrace and jump or climb straight into the swimming pool. Perfect for an early morning or midnight swim! 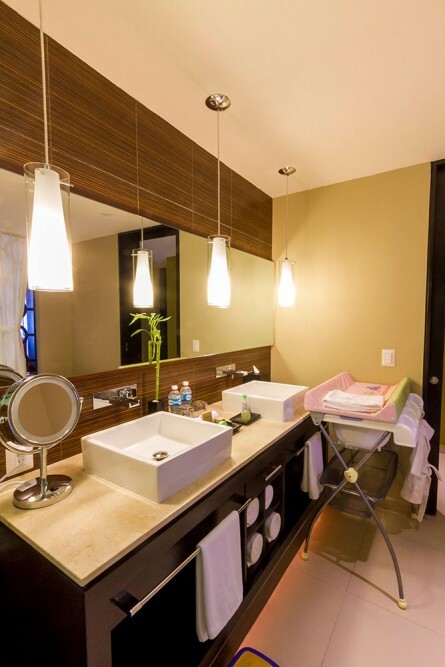 Parents with young children will know how difficult it is to find indulgent accommodations that will allow them to be close to their children but still have some privacy. If they have three young children, then it’s even more difficult. 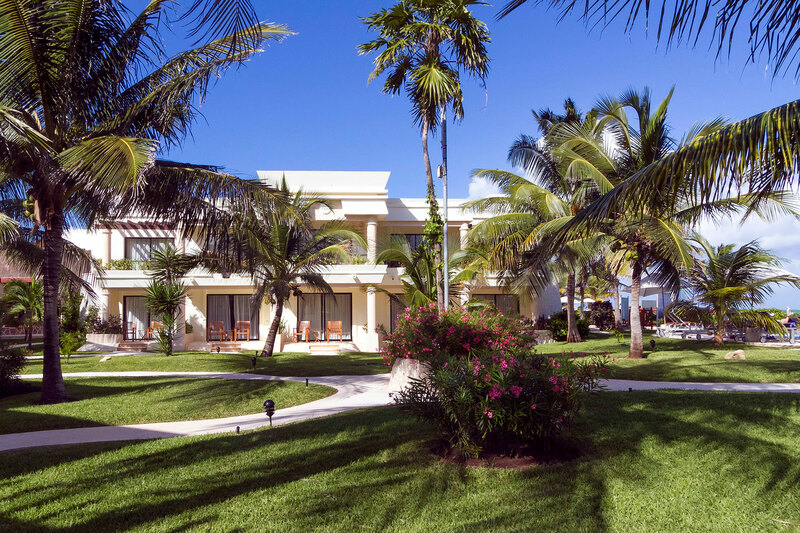 At Azul Beach, families can find the perfect solution with these spacious and child-friendly suites. Parents get a romantic king bedroom with a TV above the bed and sliding doors that they can open to a separate sitting room. The sofa in the sitting room makes individual beds for two or three children. A second TV is in the sitting area so there’s no fighting over the remote. Family suites connect to a lazy river via a terrace that has a child-proof gate. To make the vacation stress-free for parents, Azul Beach offers a range of amenities for babies and young children, including strollers, high chairs, cribs and more. 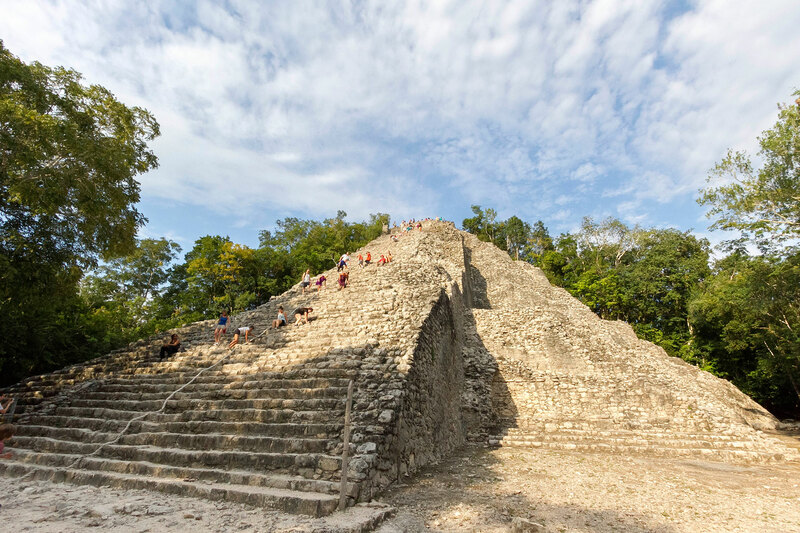 Baby food is included in the room service menu and in the restaurants, and the Azulitos kids club has programs for children aged 6 months and upwards. Thanks to the relationship with Fisher Price, there’s even a toy library for young children. For a very special treat, reserve a Fisher Price Family suite and the amenities will be tailored to suit the ages of your children, including Little People robes, photo sessions, and special room decor. This is certainly no typical all-inclusive. All meals are served a la carte in one of the excellent restaurants; there are no buffets. The resort has international chefs from France and Italy. Only the finest ingredients are used in preparing a mix of international and traditional Mexican cuisine. All food is prepared freshly on the premises including freshly baked bread each morning and pasta. The hotel refers to this concept as gourmet all-inclusive. The restaurants offer a diverse range of dining options. 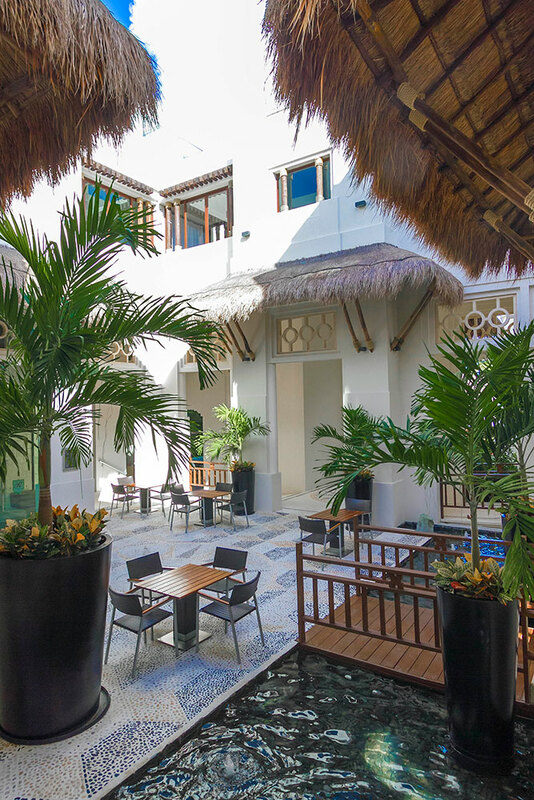 Tianan offers Asian-inspired dishes, Chil a mix of Mexico and Caribbean cuisine andBlue Restaurant seafood, vegetarian and a changing international themed menu inspired by Italian, Thai, Spanish and French cooking. There are even special menus for those watching their weight or with special dietary requirements. Reservations are not required at any restaurant. Children are well taken care of with special kid’s dishes including beef burgers, spaghetti bolognaise and other favorites. There is a somelier on hand to assist with your choice of wine. The resort has a very extensive wine menu. Glasses of wine are included in the room rate but additional costs apply for bottles. Domestic and premium brand alcoholic and non-alcoholic drinks are included in the rates. A 24-hour room service menu is also available serving breakfast, lunch, dinner and snacks. This is ideal for those traveling with young children who want to eat outside of the regular restaurant hours. The beach is long and wide with soft white sand. The sand shelves very gently into the water and is perfect for children to bathe safely. A small area of the beach has been dedicated to children with swings, a slide and other play equipment. This is a great way to keep children entertained while parents relax close by. The hotel provides buckets and spades for smaller guests while older guests will find kayaks, hobiecat, sufboards, boogie boards and inflatables available at the water activities center. There are plenty of palapas with comfortable sunbeds, daybeds and hammocks. The resort’s beach butlers are on hand to take care of your every whim and will provide towels, drinks, books, magazines and tanning products. 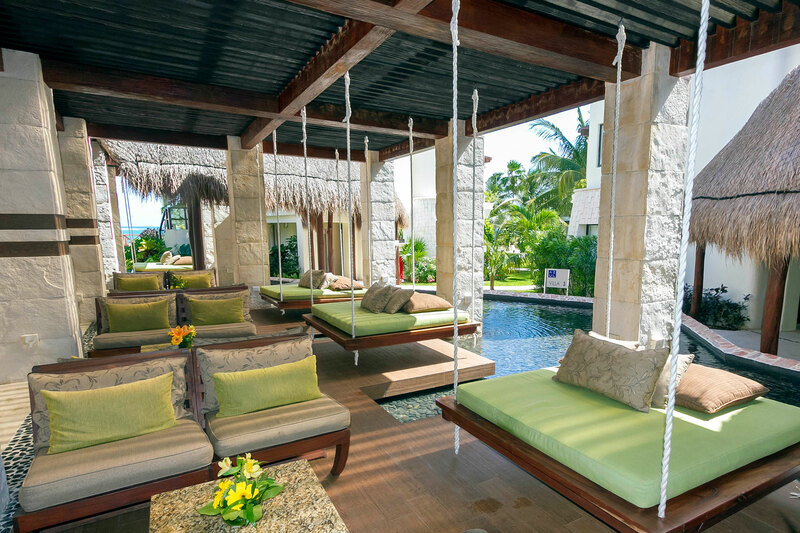 We particularly like the beach cabanas; these romantic raised palapas have a large daybed surrounded by fine drapes. They make a wonderful and private place to enjoy the ocean either by day or night. Massages, pedicures and manicures are also available here. 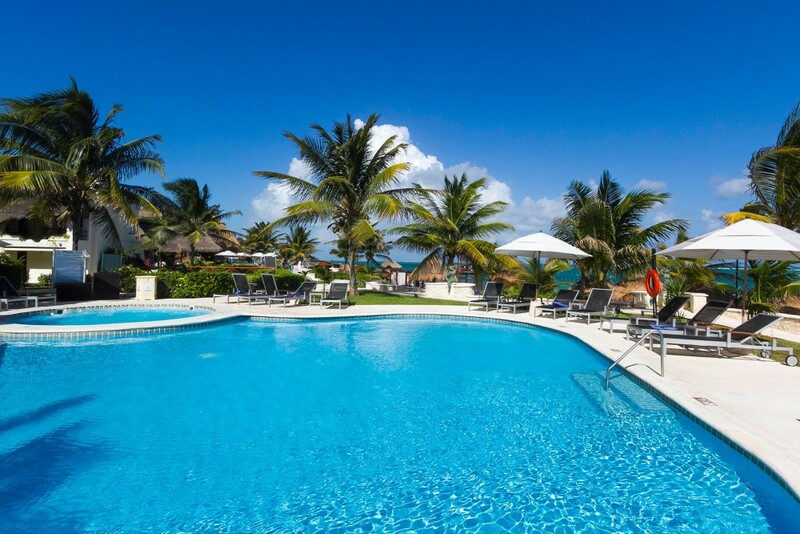 There are several swimming pools at Azul Beach Hotel, each one offering a different experience. The main pool has a very central location and tends to be the busiest. 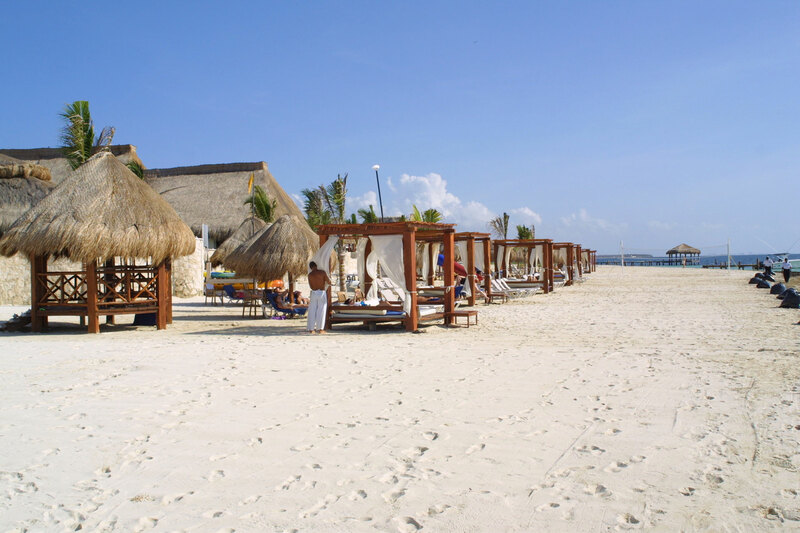 There are lots of sunbeds and shades surrounding it and it is just a short walk away from the bar and restaurants. Guests can enjoy cocktails and beers at the pool’s swim up bar. 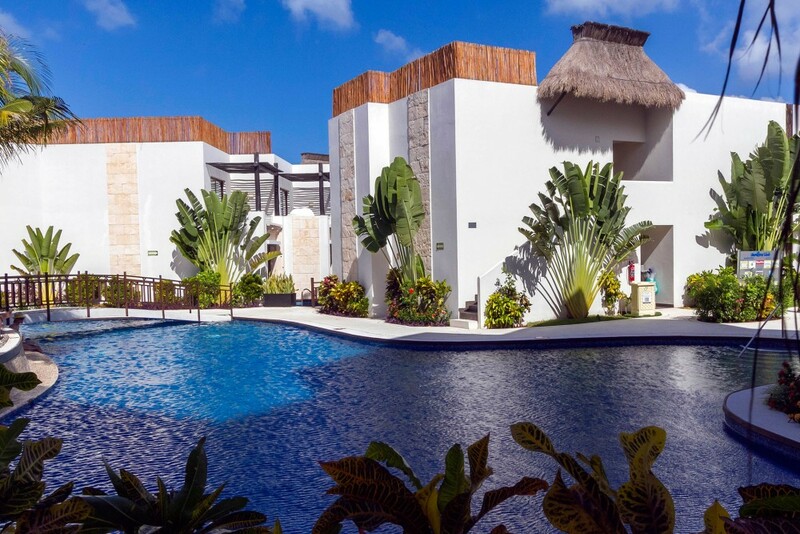 A second pool is located just a few hundred yards down the beach and is close to the Deluxe Room section. 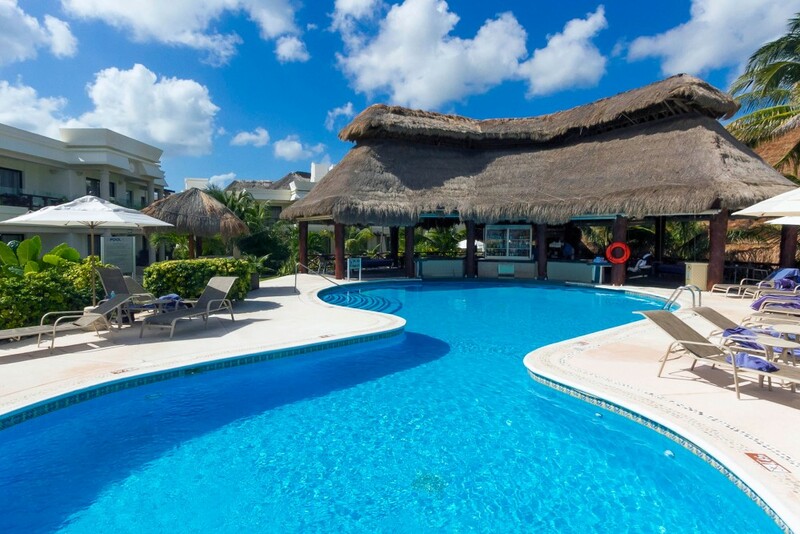 This pool enjoys the same beachfront location and is edged by palms, with a cold Jacuzzi close by. Shades, sunbeds and towels are provided. 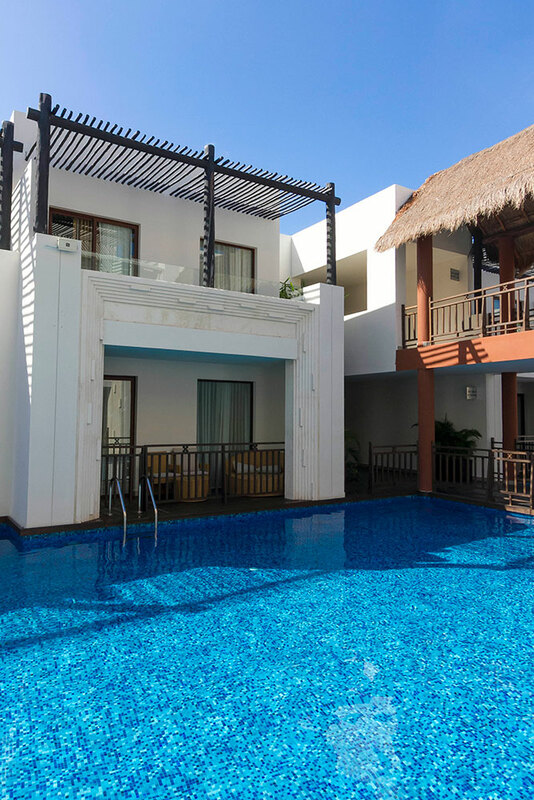 There are also swimming pools in the newer section that are accessed just from the Swim up suites. 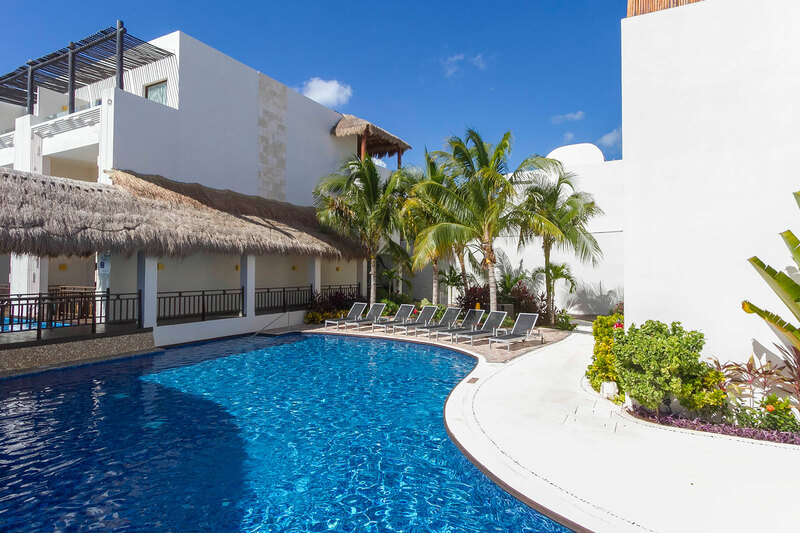 These pools are for use exclusively by guests in the swim-up suites, with several suites having access to each pool. The Vassa Spa and Fitness center is a new, 8072 square foot complex featuring a spa boutique, beauty salon and hydrotherapy facilities. Guests at the property can enjoy the herbal steam room, dry sauna, cromotherapy shower, whirlpool and cool lagoon. The spa also offers seven luxurious spa cabins where a wide range of treatments can be experienced. There’s even a Kids Suite offering Perfectly Pink spa treatments to young visitors, plus a special Bridal Suite. 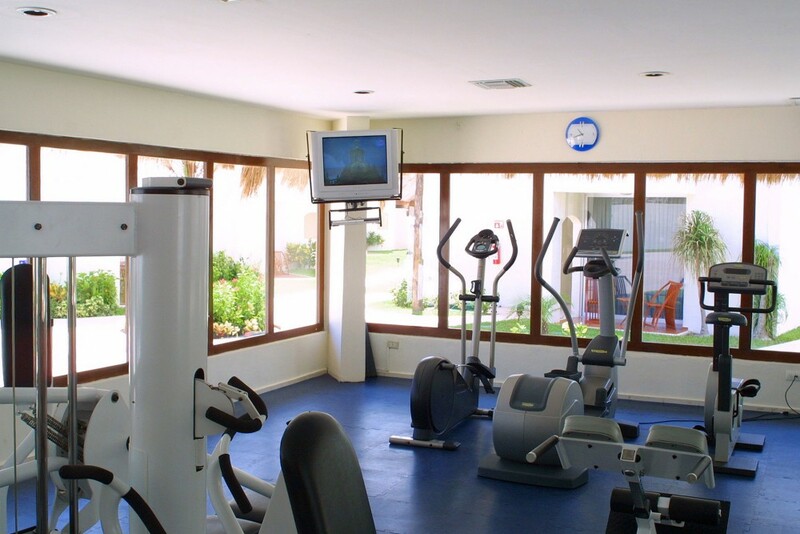 For those who prefer to keep up with their exercise routine, Azul Beach Hotel also has an air-conditioned fitness room. 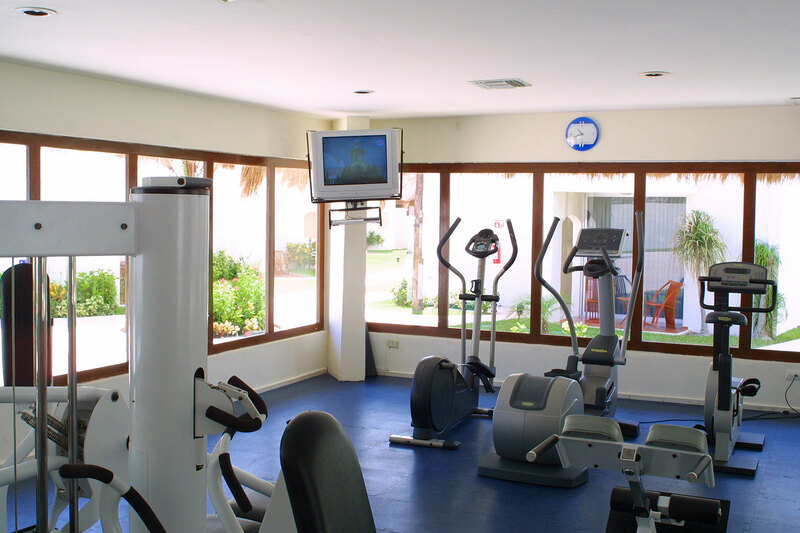 It has a good range of equipment that includes cross-trainers, cycle, multigym and free weights. 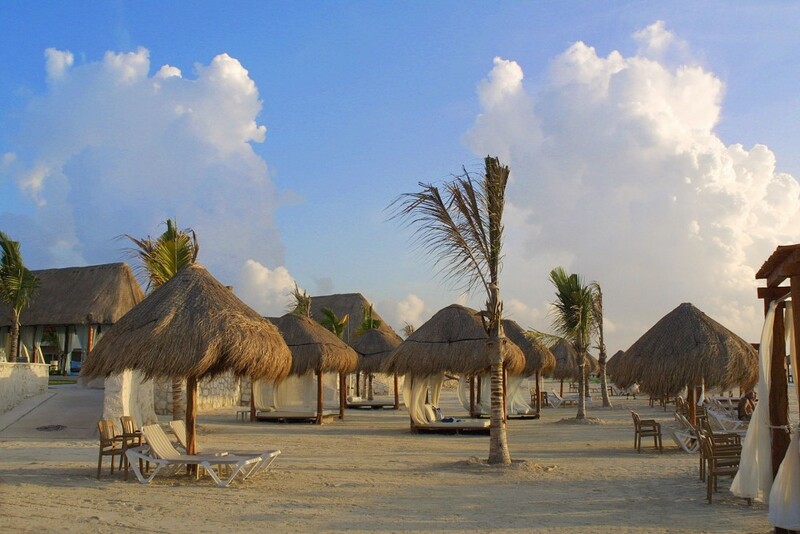 The nearest airport is Cancun – by road the journey to Azul Beach takes about 25 minutes. 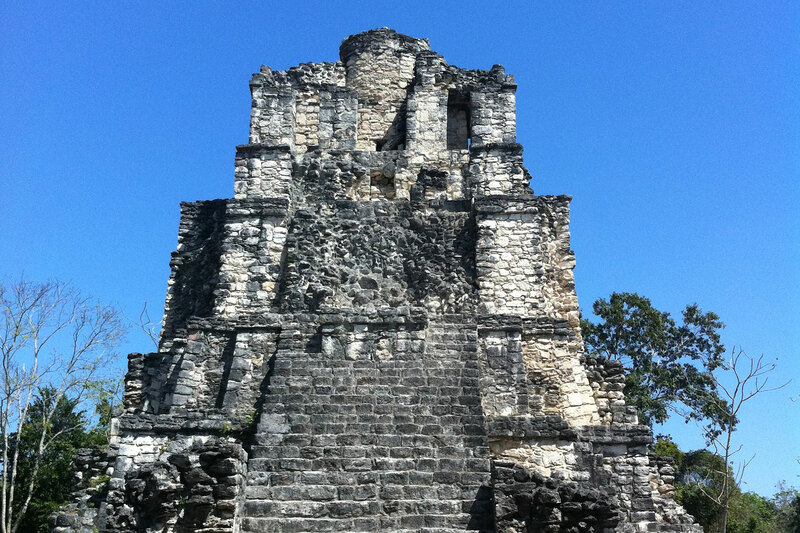 The hotel is located approximately 19 miles south of Cancun Airport. On leaving the airport turn right on Highway 307, following the signs for Chutumal and Tulum. You will pass the Moon Palace hotel on your left. Continue along the highway for approximately 10km, where you should see an archway on your left over an access road signed “Bahia Petempich”. Turn left into the the gated entrance and follow the road. The hotel is well signed once you leave the main highway.